*Please Note* All products listed on this page are digital download not physical products. 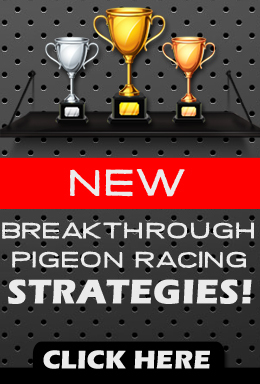 With the Pigeon Racing Formula you will discover the champions secret winning formula that will have your birds flying faster, shave valuable minutes off their time, make your loft and training more effective but most importantly help you to win races. Pigeon Racing Nutrition Secrets Exposed shows you the feeding and nutrition secrets that will get your birds flying at warp speed. It also shows you how powerful proper feeding and nutrition is to your racing pigeons and the nutritional secrets that will have them flying at lightining speed. The only way to attain real longevity in the sport of pigeon racing is to breed your own champions.By mastering the practice of breeding, you’ll have the ability to control quality, quantity, and most importantly, performance. 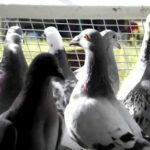 Whether you want to establish a solid reputation as a top breeder or you are looking to sell your pigeons and generate huge profits, you need to know all the facts. 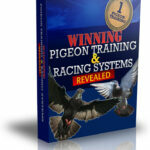 Winning Pigeon Training and Racing Systems Revealed explains all the major racing systems. like Widowhood, Double Widowhood, Natural System, Jealousy and Darkening and shows you weekly preparation activities and strategies. You will know exactly how to prepare and train your birds like the champions. No matter if you’re racing pigeons a hundred or five hundred miles, there are essential tactics you need to ensure that your birds win. For a long time, these techniques have been hidden away by the winning fanciers. They hide them because they don’t want you to win, they’re afraid if you knew the tricks that you would beat them every time. Cracking the Race Sheets shows you the insider secret’s that the champion’s use time and time again to consistently dominate the race sheets. Cracking the Race Sheet’s is an in-depth question and answer session with 9 of the most decorated and winning champion fanciers of our time. We put them under the microscope and persuaded them to reveal to you their own pigeon racing formulas on how they became so successful in this sport. 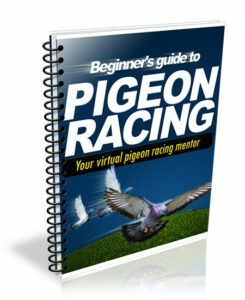 All together these champion racers have won nearly every single major pigeon race and event in existence and have bred some of the most sought after bird’s on the planet and Carcking the Race Sheet’s gives you an over-the-shoulder look at how they do it. …They All Keep Good Records! Record keeping allows you to consistently better your birds and race teams performance. 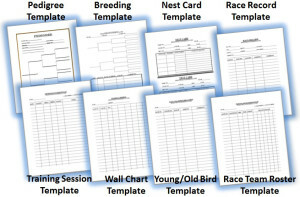 With proper record keeping it allows a fancier the ability to look back at all of your bird’s past training, racing and breeding performances and see which bird’s performed the best and which didn’t. 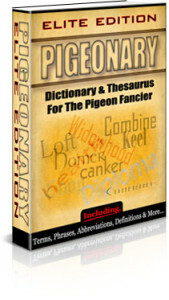 The Pigeonary is a complete collection of all the important pigeon racing terms and definitions that any pigeon fancier needs to familiarize themselves with. If at any point you come across or hear a word at the club that you don’t recognize you can easily refer back to the Pigeonary for a detailed definition. 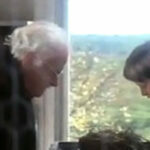 We want all pigeon fancier’s to succeed! and A dictionary is a very important tool for anyone who is learning and wants to be successful in a new subject and pigeon racing is no exception. In order to succeed and get the most out of pigeon racing and all the information you will read you really need to understand what you are reading. But up until now there hasn’t been anything to satisfy the pigeon community but the Pigeonary changes that!. Check out the Pigeonary now by clicking here. Health is the MOST important thing that any serious fancier needs to know and understand in order to be competitive.Without good health even the most expensive and winning birds WON’T win races. So health should be the main priority and focus of any fancier no matter if their brand new to the sport or a seasoned vet.Just having proven winning pigeons DOESN’T guarantee your success because even the fastest most awarded champion pigeon will not win races when in poor health. 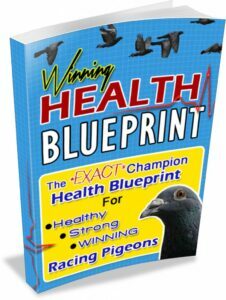 If you would like to learn the EXACT health program that one champion fancier Uses every season to get his birds in top racing condition before every race then The Winning Health Blueprint is EXACTLY what you are looking for. Health is THE most important ingredient to becoming a successful and winning pigeon fancier HANDS DOWN! An unhealthy bird will NEVER be successful and the same goes for fanciers who don’t keep health a top priority in their loft. So if you want to win more races then you NEED to focus on health! 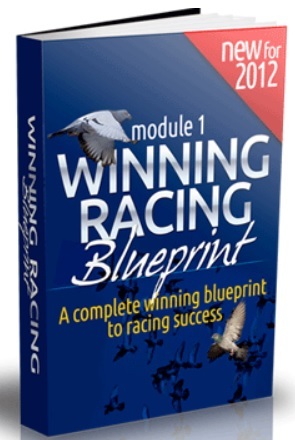 and the Winning Health Blueprint is the exact blueprint to help you do that. Click Here to Learn More!